This past weekend as I read through many of the resurrection stories from different parts of the Bible, I noticed something in the account given in John 20. It talks about Mary Magdalene getting to the tomb early Sunday morning and finding the stone rolled away. She ran to tell Peter. Peter was with John and the Bible says that they both took off to see what Mary was talking about. They both ran but John outran Peter and though he arrived first it says, "he stooped in and looked and saw the linen wrappings lying there, but he didn't go in. "(vs 5) The very next verse says that Peter arrived and "went right in". As I read these words I thought about so many people that run to see Jesus, stoop in and look around but never go right in. We seem to make it to the Lord quickly when times are desperate and there is an emergency. But do we get close enough to look in and then stop? Peter may have been slower but he was bolder! He went right in...no fear...no hesitation...he needed to see for himself. We are all running the race and some of us are very fast. But speed is not the issue. 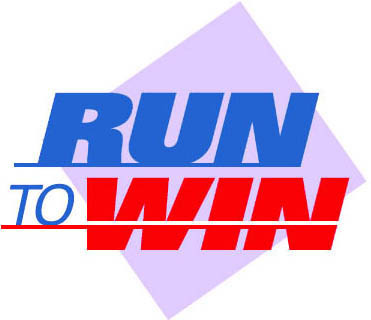 We are to run in such a way as to win the prize. For the believer that prize is an eternity with God. So get ready, get set and let's run right in today!